When gamers refer to and discuss retro gaming, we suspect that in most cases the conversation revolves around ageing consoles, cartridges and CDs; occasionally, the debate may even revert to libraries and choices on services such as Nintendo's Virtual Consoles. Yet an integral part of gaming history took place away from the home in crowded, noisy places where pocket money was devoured by hungry machines. A trip to the arcades was a highlight in many childhoods of the past, an age when the very best gaming experiences had to be powered by hulking cabinets. Nintendo's earliest days, before it embarked on a campaign of console dominance, also prominently featured arcade cabinets. As a result being a Nintendo retro collector can, given you have the space and the resources, be about more than accumulating cartridges. Alex Crowley, the man with his very own Nintendo Arcade, is a case and point. 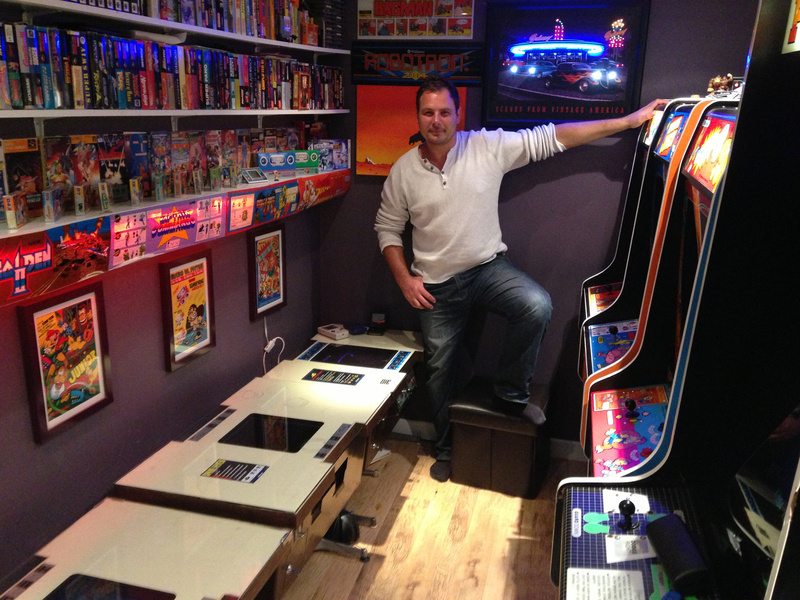 We caught up with Alex for a chat about his collection, arcade memories and why cabinets shouldn't be forgotten. Nintendo Life: Can you introduce yourself to our readers and let us know what you do for a living? Alex Crowley: Hi, I'm Alex and I live in London, England. I work in the construction industry as a bricklayer when I'm not busy collecting classic Nintendo hardware. NL: What was your first gaming experience? AC: My first gaming experience was in 1978 at my local swimming baths, when us kids aged around seven would queue up around the block to play this amazing box of light, Space Invaders. Words can't express how amazing this was to see because we had never seen anything like it before, it was like it came from another planet. The sound was thumping loud around the block, like an alien's heart beat, and of course that side art has stayed with me as the most iconic piece in video game history. This game was so good that when Nintendo released anything Donkey Kong related I wanted it, from scratch cards with chewing gum to pencil cases and rubbers. NL: You've amassed an amazing collection of classic Nintendo arcade cabinets. When did you start collecting, and what inspired you to do so? AC: My inspiration for my Nintendo collection has come from the early '80s, when my first experience came from playing Donkey Kong, or the UK version "Crazy Kong". This game was so good that when Nintendo released anything Donkey Kong related I wanted it, from scratch cards with chewing gum to pencil cases and rubbers. But my first recollection of owning my first real Nintendo product was the charming Game & Watch series. These handheld games were small enough to hide under the desk in the classroom and had good enough gameplay to make you think you were playing the real arcade game. But it wasn't until I discovered Jamma+ the arcade forum five years ago, when I first saw a Donkey Kong Jr cabinet for sale, that I realised I could own my own Nintendo machine. NL: What cabinets do you currently own? AC: I own seven machines, four of these are upright machines imported from the USA: Donkey Kong, Donkey Kong Jr, Donkey Kong 3 and Popeye. 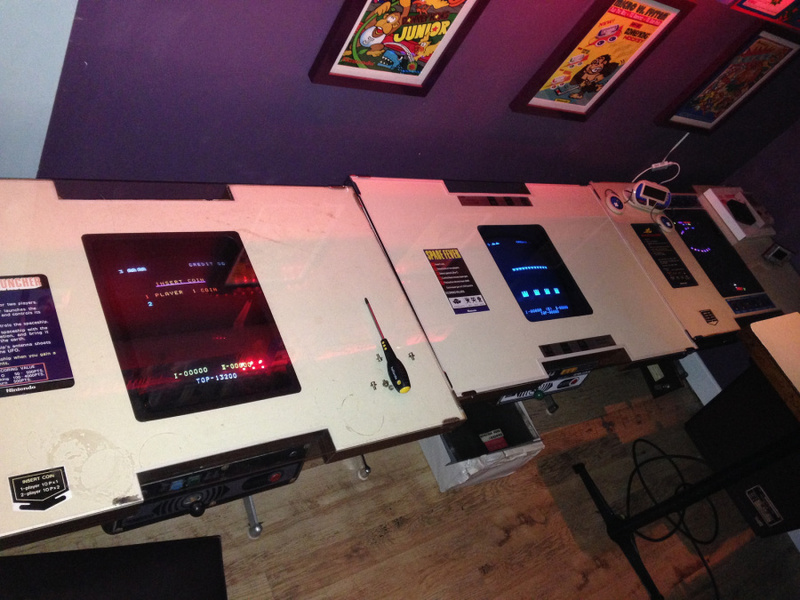 The other 3 are European cocktail tables you sit down and play: Space Firebird, Space Fever (black & white) fully restored, and the only known example of Space Launcher; that last game is so rare. I also own a Radarscope PCB (printed circuit board) and kit and Mario Bros PCB. NL: Which arcade cabinet are you most proud of, and why? AC: Space Launcher, only because of its rarity being the only known example in the community, plus it's actually quite a fun game. But my favourite game to play in the collection has to be Donkey Kong Jr, because the gameplay has so much depth and I just love the artwork. NL: Is there an item you'd love to acquire but haven't so far? AC: I would love to import the Vs system red tent, because lots of games play differently from the NES home console. For example Balloon Fight, which is a great vs game, scrolls vertically up the screen which gives you more of a playing field, whereas the NES version does not. Wrecking Crew has a unique feature too in which it lets you invade your opponent's screen, which is unique to the red tent as it has two screens. You can also play up to 4 players simultaneously on tennis, which just sounds so much fun. NL: What is it about collecting classic arcade machines that makes it so appealing? AC: In the beginning it was pure nostalgia, But now it has so many other aspects I love. I like the whole restoration process, seeing them transform from rust buckets into gleaming machines with new artwork and polished metal work. And I am starting to learn more about electronics, which is essential when you have such old unreliable technology. I also love arcade games because they're games of pure skill, like pinball it's all about high scores. Plus they don't demand much time from you — well, until you get good at them! A good game on Donkey Kong Jr now can take me up to 45 minutes to play. NL: What's your favourite Nintendo console? AC: My favourite Nintendo console is the Super Nintendo, and I really think its the best console of all time. That was the point in video game history where the consoles took over from the arcades and gave us a machine that could produce games that were arcade perfect, and games that had more depth than any arcade game at the time. There's also the fact that Street Fighter had come to Nintendo for the first time, and it wiped the floor with any other competition at that point. NL: In addition to your impressive arcade collection, you also own lots of other Nintendo games and memorabilia. Please tell us about some of your favourite items. AC: I have two rare pocket-size Game & Watches which were only released in North America, which I love because of the Donkey Kong art. I also collect original Nintendo arcade flyers, which showcase the machine and its variants; I also like to collect marquee headers. My favourite game has to be Balloon Fight on the NES, as well as Super Metroid and Zelda on the SNES. Ever since I started collecting these machines I've always wanted to see a line-up of Nintendo arcade cabinets, to show their history. NL: You took some of your collection to Play Expo last year to share with the British public. What kind of reaction did you get? AC: It was so cool, it was just great to see so many people young and old playing the games. Ever since I started collecting these machines I've always wanted to see a line-up of Nintendo arcade cabinets, to show their history; for the first time in the UK I made it happen. Nintendo actually loaned me some props — like barrels and bananas — to decorate around the machines, which gave it a real jungle feel; that was great. I did not like people beating my highest score on Donkey Kong though! NL: These cabinets were not native to the UK, so how do you go about sourcing these American units in such good condition? To source these machines you have to join the forums like Jamma+ and UKVAC, where you can meet fellow collectors, there is no point waiting for them to turn up on eBay because they wont as they usually stay within collections. Plus you can also import them from the USA yourself, like I did with Popeye, but it's always a gamble as they're not always in great condition. But that can be the only way to get what you want without going over there to source it yourself, which could be very expensive. NL: What advice do you have for people considering collecting arcade hardware? AC: You have to join the forums, it's the only way to get help, and be prepared to pick up non-working PCBs; because of their age they are very unreliable and are always listed as non-working. 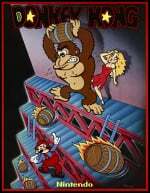 NL: What do you think of the renewed interest in competitive play of the Donkey Kong hardware, due to 'King of Kong'? Its great to see and it's really brought classic arcade gaming back to where it deserves to be. New bars are opening up with arcade themes and games are starting to be collected and restored back to their former glory. And as new people start to play they push the game further with new tricks and high scores; it's just become very competitive. NL: What's your high-score on Donkey Kong? Can you reach the kill screen? AC: My score is not that impressive on DK, its only 120,500. I am actually better at DK Jr with a score of 197,400, & DK 3 with 348,400. I would love to reach a kill screen on DK Jr, but I need loads more practice. I still enjoy going into current arcades and playing the new releases, but it's not the same as the classic era. NL: What do you think of the current arcade scene? 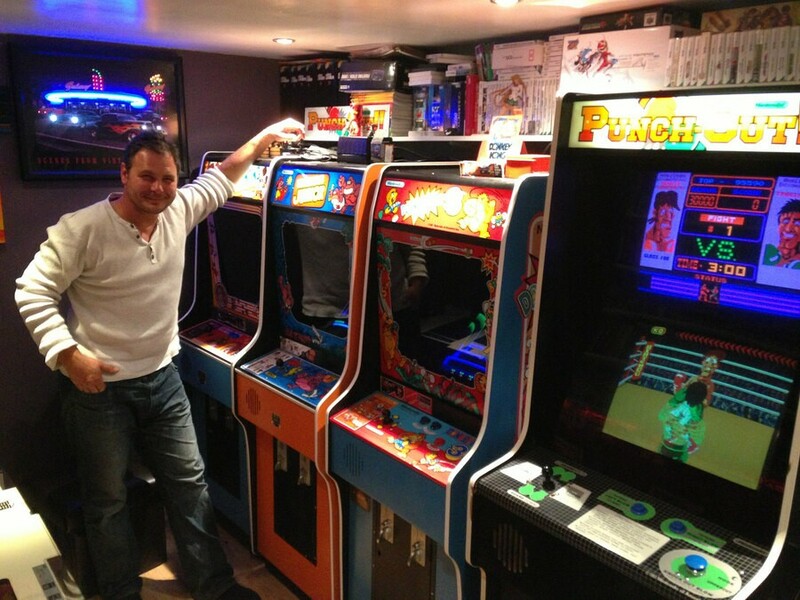 Do you think the idea of 'arcades' will ever be popular again in the UK and around the world, or has that time passed? I still enjoy going into current arcades and playing the new releases, but it's not the same as the classic era. Two games I do enjoy and always make a point of playing is Mario Kart GP 2 and Darius Burst, which is just awesome. With the right format I think arcades will always be around as long as there are new and different games to play. And as for the classic games there are plenty of great private collections and events coming up for people to enjoy throughout the year. Classic gaming will always be around, but not with the same magic as 'back in the day', because back then it was all new technology for everyone. NL: What's the long term plan? Will you keep these games for your own personal pleasure, or do you plan to share them with others at events or even in your own arcade? AC: I won't be taking them on the road as a collective, but I will showcase the odd machine. I do hold small meetings at my games room where people can come and hang out and enjoy Nintendo arcade games, as well as console games. NL: Can you say, in a few sentences, what's special about playing arcade cabinets above home consoles, and do you think it's important that future generations keep the tradition alive? AC: The great thing about playing the machines is the ambient lighting of an arcade in which the machine glows, with all its artwork and neon lighting. It's also much more of a social time, where it can be very competitive with people staring over your shoulder while you rack up your high scores, or try and put you off by chatting to you! Also, playing with an arcade joystick is by far the best way to play any of these games; you can't have the same experience on any joypad, plus some of these machines had unique controls that you just cant emulate on a keyboard or pad. Like the Star Wars cockpit, or Centipede which had a trackball. Overall, an arcade is social event where people can have a lot of fun and hang out. That's what we did in the '80s, anyway, and I have very fond memories of that time. It was great. We'd like to thank Alex Crowley for his time. If you want to get in touch with Alex you can do so in multiple ways; you can find him on Twitter, Facebook, Flickr, YouTube or on this Podcast. What a cool collection, great article! I would love to be his neighbour ! You would have to pull my 31 year old self out of there kicking and screaming (probably by the feet) to get me out! Would love to own some old arcade machines. Too bad it's an expensive hobby. Plus it'd be nigh on impossible to find any original cabinets here in china. It is not that expensive compared to some hobbies collecting arcade machines. Importing them from the USA would be expensive but if they are already in the UK and you are willing to go pick them up then they are normally about £250. (Complete and Working). From such as UKVAC. (Ebay is a total rip off for this sort of thing). Great interview! I can relate to Alex. Arcades introduced me to gaming as well (as my profile states~). I noticed a "Top Gear 2" cart without a "Top Gear" to go with it, I will sell my complete boxed version in vgc to Alex for £200 if he's reading . Finally someone who appreciates Balloon Fight. One thing about Nintendo arcade cabinets is that they are very appealing to the eye. I don't understand those who have these big arcade collections. they take up so much room, cost so much money to purchase/up keep/fix/restore/electricity, etc when you can have the same game in a video game collection with a bunch of other games or on m.a.m.e., etc for very little money and most likely will never fail. 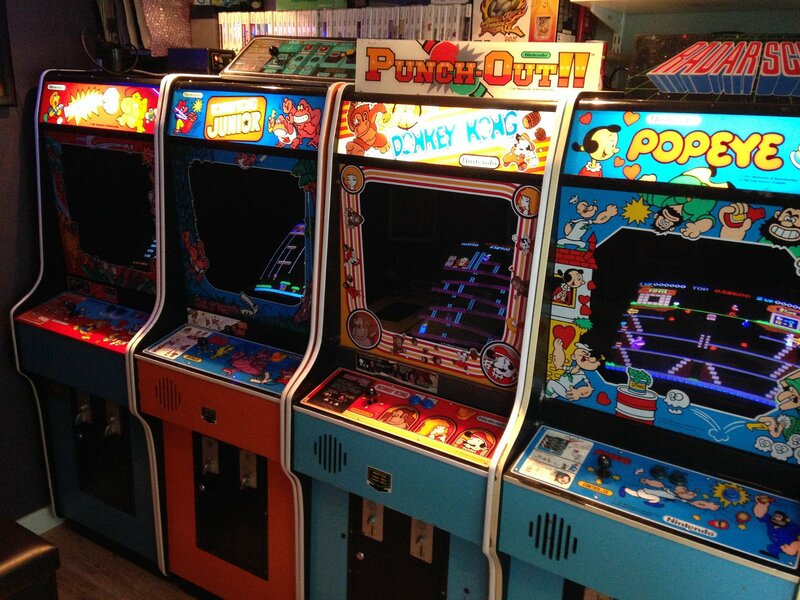 but, if you have the space and the money it is pretty cool to have multiple arcade machines in your home. it is like an interactive museum. 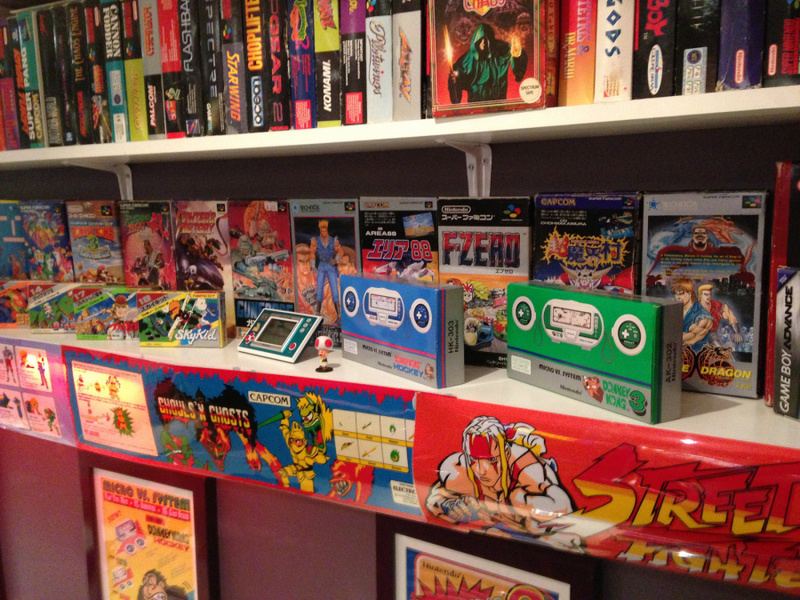 Ah, I spot a copy of Adventure of Valkyrie on Famicom, next to Sky Kid there. Brings back some memories. Very tough game, that one. Was great seeing these pics and reading this I'm so jealous of this Alex Crowley dude what an awesome ninty collection hats off to you pal. Growing up next to an arcade, I was fortunate enough to play about four of the games mentioned above in their original arcade form. Although you would see the majority of these games transferred to the NES, some of the challenge and quality of these games would be lost in transition. I recall in "vs Super Mario Bros.," one would have to reach 300 coins for a 1-up. Plus, the levels were a mix up of hard SMB levels and SMB:The Lost Levels from Japan. In other words, it was a tough game to beat at the arcades. Seriously, looking at those pictures makes me want Nintendo to develop a Virtual-Arcade app for the Wii U, filled with Miis, and each cabinet acts as a gateway to each console/handheld where you select from the VC games you purchased on the eShop. Make it OS-side like the Internet Browser. @Discostew I am not bothered about Mii's (I wish I didn't need to have one at all.) I would like some Arcade versions from Nintendo though. (I think most of these use the same board or they are similar enough that it would be one emulator like the Super Scaler one that M2 made for the 3DS). Man. I remember as a child playing all those games. 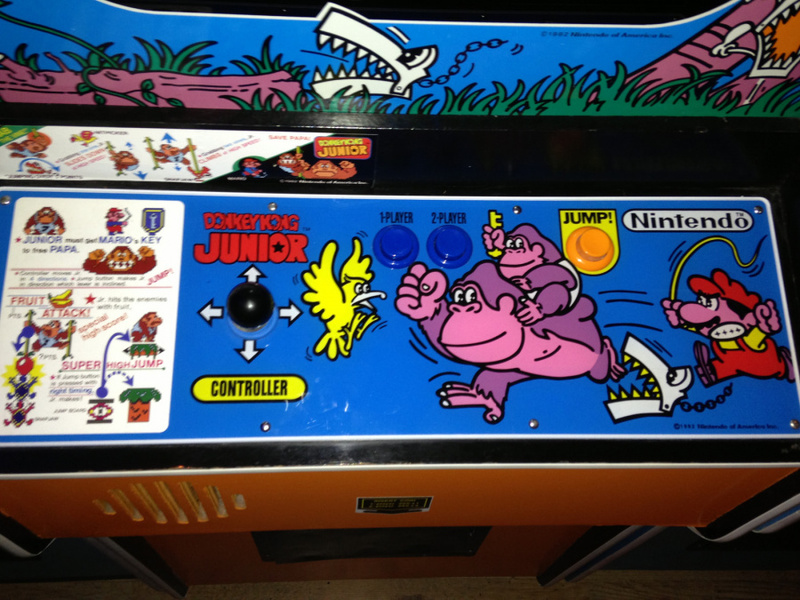 My favorites back then were Donkey Kong and Popeye. I am proud to say that I saw and lived the birth of gaming. PunchOut!! arcade was my total favorite growing up... I wish I could play it again. This guy is awesome. I feel good knowing my high score on DK topped his at 160,000 lol. The city I live in had an 80s retro arcade show at the local museum all summer long. Several machines were playable (on free play) and featured many Nintendo cabinets from back in the day. Great article, enjoyed it, takes me back to working in an arcade in the early 90s. @Discostew: I can picture something like that. We all know that you scroll left and right through the pages of the Wii U menu, but what if you could scroll DOWN to a new set where your Virtual Console Arcade games are kept (should they come). Suddenly, the lights go out in the wara wara plaza and the screen on your television is pitch black. You tap an icon on your gamepad and look back up to see a little 3D model of the selected game's arcade cabinet fall from the sky, its CRT screen flicking on as it lands with a thud near the top of the plaza. The glow from the cabinet reveals the silhouettes of a mob of Miis, who all crowd around your own chosen avatar as it runs up to the machine, inserts a coin and begins hammering buttons and wrestling with the joystick to the appropriate sound of bleeps and bloops...and then I suppose the speech bubbles containing Miiverse posts about the highligted game would start to pop up too. great interview. he really hits the nail on the head with his last answer. makes me really nostalgic for the chuck e. cheese i grew up with. Gauntlet and Quartet are the first two I remember playing but those 4 player cabinets are so deep compared to normal. (Along with Bomb Jack which was a normal sized one). If I win the lottery, that is definetly one of the things I am doing! Fantastic there is still an arcade culture in tokyo, i have been there twice to enjoy their arcade/game culture! Nice article. Yeah I'd bet it is difficult to import bulking arcade cabs from the USA. Anybody interested in the Nintendo VS games should try VS Duck Hunt. I own an NES reproduction cart of that game. You can actually shoot the dog in bonus rounds. Lots of urban ledgends were born due to the fact this is impossible in the NES version. Speaking of arcade machines, do not forget the video arcade's older sibling, pinball. I would love to own a real Pinball machine someday. gadzooks! if i ever become a Millionaire I WILL BUY HIS COLLECTION! What I want to find out more about is "Super Mario Brothers"
(Not VS Super Mario Bros - I think it uses the same screen layout as Punchout). Some of NL's other articles featuring different types of gamers in the past have been rather lackluster, however, this article was great and this man's collection is one worth sharing and writing about. What a great collection Alex! Thank you for sharing it with NL. @Prof_Elvin_Gadd thanks mate glad you enjoyed it . Thats What My Dining Room Looks Like! I miss arcades.I live in kansas, and sad to say arcade's have been gone a long time.I enjoyed arcade's in the 90's and I'll never forget how many quarters I pumped into 1989 turtles,turtles in time,xmen,avengers,xmen. Vs streetfigther,time crisis,terminator two I could go on forever. I'd love to do this with my brother! I have just accuried two extremely rare Nintendo machines called battle shark 1977. These machines are not videos machines but electrical video. They run a 16 mm film through a number of mirrors that project on to a screen which is your playing field. The film is of a 2nd world war plane attack and your object is to shoot them down .